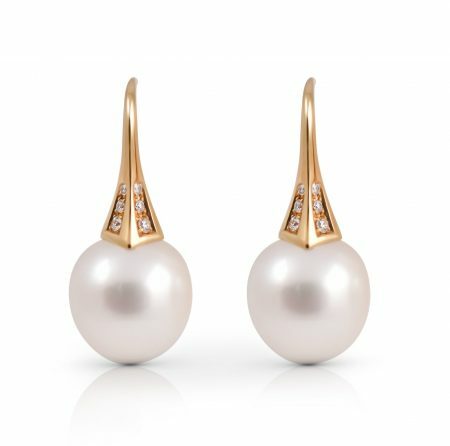 A pair of 18K yellow gold Autore south sea pearl and diamond drop earrings. Featuring Two 11mm drop shape white pearls, set with 12 round brilliant cut diamonds. Looking for a necklace to match? View here. Find out how Autore grades their pearls here.